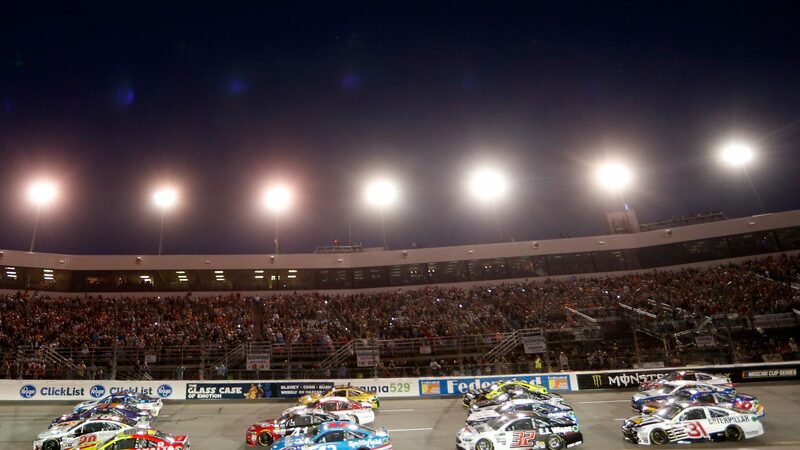 NASCAR will this weekend travel to Henrico County, Virginia, for two races at Richmond Raceway. You will see stock cars from the Monster Energy NASCAR Cup Series and the Xfinity Series while the Truck Series are having the weekend off . Richmond Raceway opened for racing in 1946. The track is a D-shaped oval and is 1.21 km (0.75 mile) long. Surface is asphalt with four turns. Banking in turns; 14°, frontstretch; 8° and backstretch; 2° . Lap record, for NASCAR Series, is held by Jeff Gordon with 130.599 mph (qualifying) in 2013. Most wins by an active driver at Richmond Raceway is Kyle Busch (26 races) with 5 wins. Capacity: Approximately 60,000 race fans.